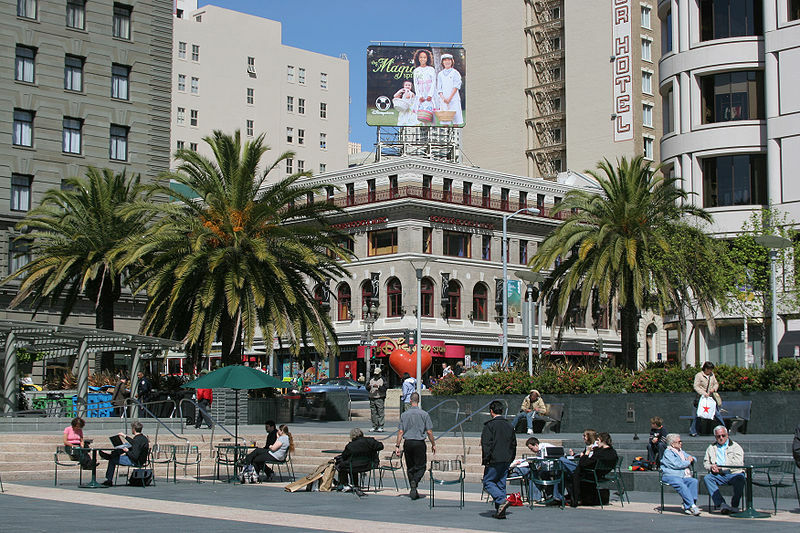 Union Square is one of the main plaza of San Francisco, near Market Street. 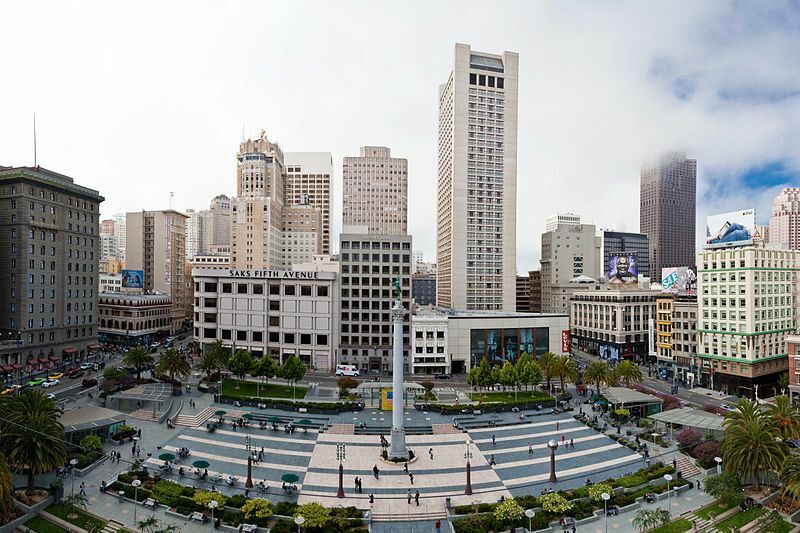 Union Square takes its origin from demonstrations in support of the Northern armies during the American Civil War. Today it is one of the major shopping districts from California. Union Square è una delle principali piazza di San Francisco, nei pressi di Market Street. Union Square prende origine dalla manifestazioni in supporto dell’esercito nordista durante la Guerra di Secessione americana. Oggi rappresenta uno dei maggiori quartieri commerciali dalle California. 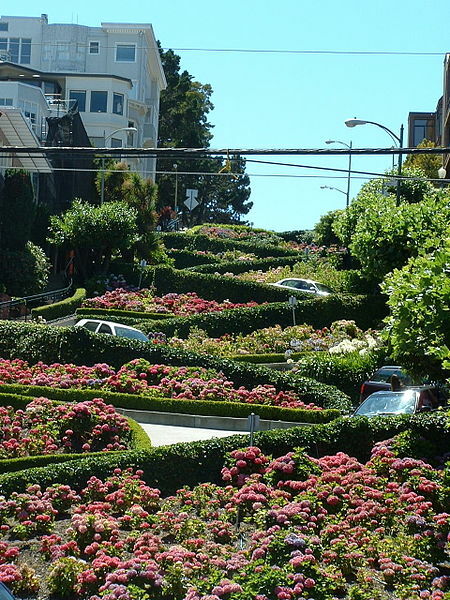 Lombard Street begins at Presidio Boulevard, at the Presidio, and continues east through the Cow Hollow, some sections are part of the main story, U.S. Route 101. The path continues through Russian Hil and Telegraph Hill Boulevard, which leads to Pioneer Park and stops at the Coit Town. The road finally ends at The Embarcadero. 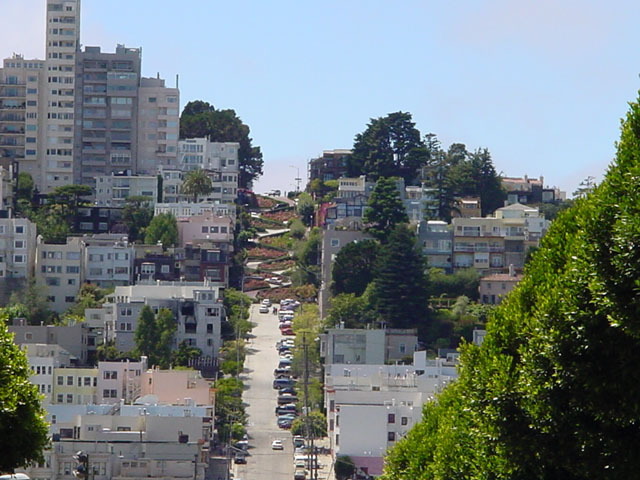 The most celebrated is that of Russian Hill: where the roadway is composed of 8 steep switchbacks, which is why it is known as the “crookedest street in the world.” The line, built in 1922, was born of the need to reduce the slope of the 27 ° of the hill. The road is paved with red bricks for 400 meters and is reserved for the transit of cars on the descent, which can not exceed 8km / h (5mph). Lombard Street inzia al Presidio Boulevard, presso il parco Presidio, e prosegue ad est attraverso Cow Hollow; alcuni tratti fanno parte del racconto principali, U.S. Route 101. La via continua attraverso Russian Hil e Telegraph Hill Boulevard, che conduce al Pioneer Park e si interrompe presso la Coit Town. La strada termina definitivamente al The Embarcadero. Il tratto più celebra è quello di Russian Hill: dove la carreggiata è composta da 8 ripidi tornanti, motivo per cui è conosciuta come la “strada più tortuosa del mondo”. Il tratto, costruito nel 1922, nasce per la necessità di ridurre la pendenza del 27° della collina. La strada è pavimentata di mattoni rossi per 400 metri ed è riservata al transito delle vetture in discesa, che non possono superare gli 8km/h (5mph). 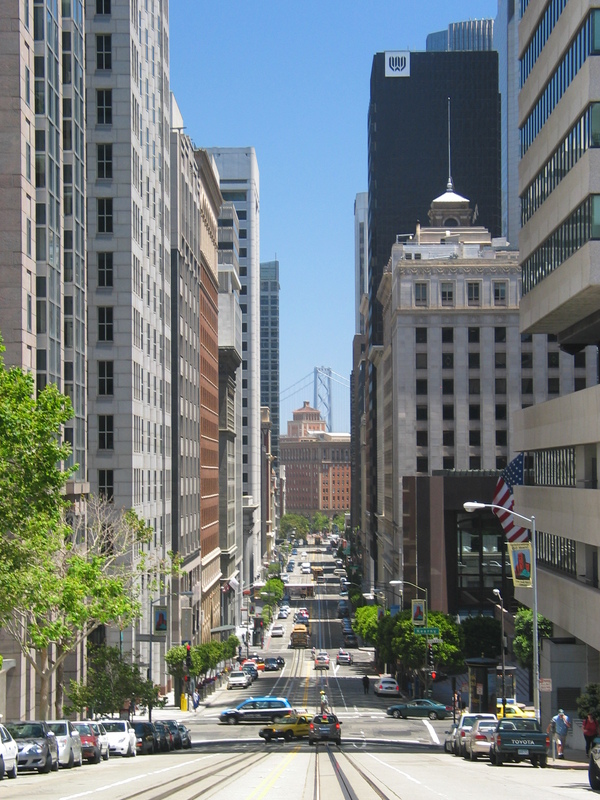 California Street is one of the main arteries of the city. 8.4 km long, runs through the district from east to west, connecting the Financial District at the northwest corner of the city. The road has 4 or 6 lanes and along a stretch and flanked by a cable car. 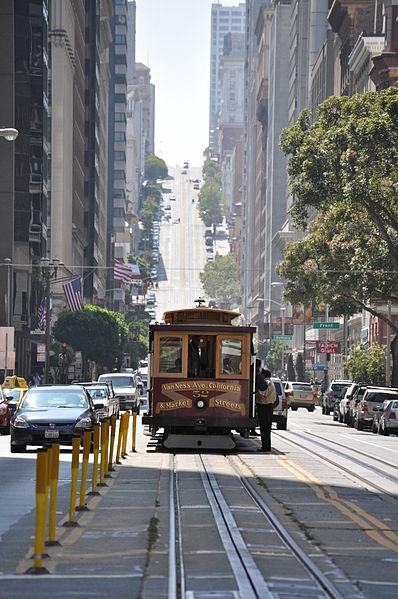 California Street è una delle più grandi arterie della città. Lunga 8,4 Km, attraversa il quartiere da est ad ovest, collegando Financial District all’angolo nord-ovest della città. La strada ha 4 o 6 corsie e lungo un tratto e affiancata da una funivia. 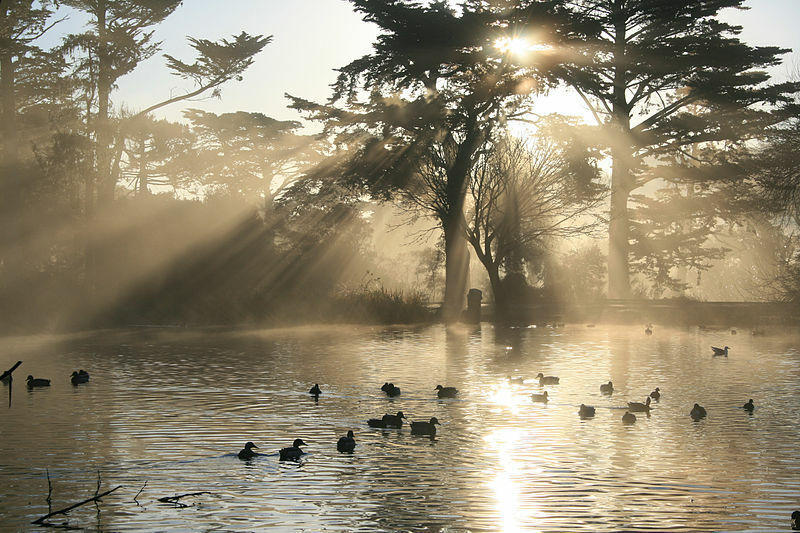 The Golden Gate Park is the largest park in San Francisco and was opened in the late 70 ‘s 800. The park covers a rectangle of 4.1 sq km, is slightly larger than Central Park and the third most visited in the United States . Inside the park, as well as 10 km of bike path , there are: . several museums , including the Young Memorial Museum, opened in 1921 , houses paintings by American artists such as Hopper and Whistler. . 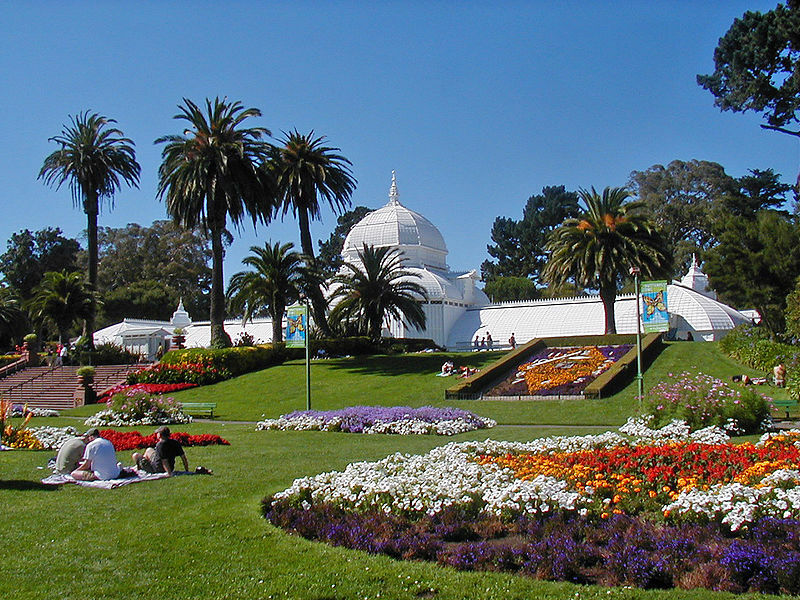 The Conservatory of Flowers , a greenhouse in Victorian style, one of the largest , built in 1878. 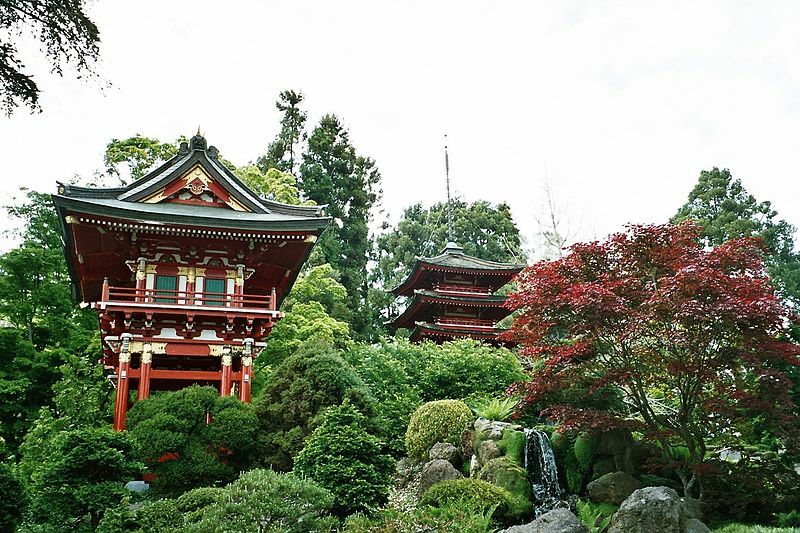 Survived several disasters , including the 1906 earthquake and fire of ’18 , in 1995 it was damaged by a storm and was reopened in 2003 after restoration. . The Japan Garden tea , opened in 894 and one of the oldest in the United States. . National AIDS Memorial Grove, a memorial containing the names of people with AIDS created in 1988. . Strybing Arboretum is a botanical garden of the city and is home to about 7,500 species of plants. . Kezar Stadium, built between 1922 and 1925 was demolished in 1989 and replaced by a modern stadium with 10,000 seats. . The fence of the buffalo , where a herd of these animals is taken care of by the staff of the San Francisco Zoo . . Two lakes : Lake Stow, with an island 140 m high which emits a waterfall, and Lake Spreckels . . California Academy of Sciences in 2008, designed by Renzo Piano , it is a great natural history museum that also hosts the Morrison Planetarium and Steinhart Aquarium. Il Golden Gate Park è il parco più grande di San Francisco e fu aperto negli anni 70 del ‘800. Il parco si estende su un rettangolo di 4,1 Kmq; è leggermente più grande di Central Park ed il terzo più visitato degli Stati Uniti. All’interno del parco, oltre a 10 Km di pista ciclabile, ci sono: . diversi musei, tra cui lo Young Memorial Museum, inaugurato nel 1921, ospita dipinti di artisti americani come Hopper e Whistler. . Il Conservatorio dei Fiori, una serra in stile vittoriano, tra le più grandi, costruita nel 1878. Sopravvissuto a varie calamità, tra cui il terremoto del 1906 e l’incendio del ’18, nel 1995 fu danneggiato da una tempesta e venne riaperto nel 2003 dopo il restauro. . Il guardino da tè giapponese, inaugurato nel 894 ed uno dei più antichi degli Stati Uniti. . National AIDS Memorial Grove, un memoriale che raccoglie i nomi dei malati di AIDS creato nel 1988. . Strybing Arboretum è il giardino botanico della città e ospita circa 7.500 specie di piante. . Kezar Stadium, costruito tra il 1922 e 1925, fu demolito nel 1989 e sostituito da un moderno stadio con 10.000 posti a sedere. . Il recinto dei bisonti, dove una mandria di questi animali è curata dal personale dello Zoo di San Francisco. . Due laghi: il Lago Stow, con un’isola alta 140 m da cui fuoriesce una cascata, e il Lago Spreckels. . California Academy of Sciences progettato nel 2008 da Renzo Piano; si tratta di un grande museo di storia naturale che ospita anche lo Steinhart Aquarium e il Morrison Planetarium. This entry was posted in Uncategorized and tagged American Civil War, Avenue, Bike path, Boulevard, Cable Car, california, California Academy of Sciences, California Street, city, District, fence of buffalo, Flowers, garden, Golden Gate, Golden Gate Park, Hill, Hopper, Island, Japan Garden, Japan Garden Tea, Kezar Stadium, Lake, Lake Spreckels, Lake Stow, Lombard Street, Market Street, Morrison Planetarium, Museum, National AIDS Memorial Grove, Park, Pioneer Park, Place, Renzo Piano, Road, Russian Street, San Francisco, Stadium, Steinhaer Aquarium, Street, Strybing Arboretum, Tea, Telegraph Hill Boulevard, The Conservatory of Flowers, U.S. Route 101, Union Square, Young Memorial Museum on September 2, 2013 by littlecloudydreams.